SETI has come a long way over the years, but is the search really important? What do you think about when you look up at the stars? As a child, astronomer Jill Tarter couldn’t help but think of extraterrestrials. In those days, she often gazed at the diamond-filled sky while walking along the beaches of southern Florida with her father. Peering into the vastness of space, Tarter thought that surely there were planets orbiting at least some of the stars she saw, and on those planets were beaches, and on those beaches were alien children walking with their alien fathers, looking up at stars like our sun and wondering about the beings that could be looking back at them. Today, Tarter is still thinking about aliens on other planets. As the director of the Center for SETI (Search for Extraterrestrial Intelligence) Research at the SETI Institute, she looks for evidence of their technology, like radio signals they may be sending out into the universe. According to its mission statement, the SETI Institute, which is based in Mountain View, California, sets out to “explore, understand and explain the origin, nature and prevalence of life in the universe.” Although the institute was founded in 1984, the idea of other life in the universe has existed for centuries. Our enduring interest in extraterrestrial life—intelligent or otherwise—is evident in the many current research projects focused on its discovery. Some small-scale projects are investigating possible microbial life in our own solar system, particularly on Mars and some moons, like Saturn’s Titan. Other efforts are scouring the heavens for alien homes: planets that are sitting in the habitable zones of other stars, where liquid water, and thus life, could exist. Recently, researchers reported finding Gliese 581g, the so-called “Goldilocks planet,” 20 light-years from Earth, which may be the first of many Earth-like planets astronomers will find in the coming years. Its existence, however, is now being questioned by another research team. Additionally, there are large projects like NASA’s Kepler Mission, which is also hunting for habitable planets. 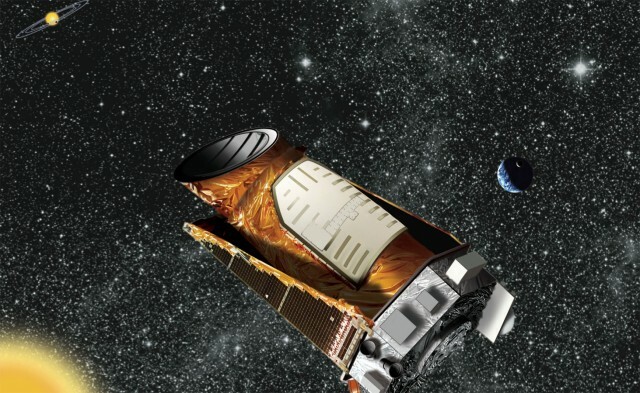 Utilizing the Kepler space telescope orbiting the Sun, the mission locates planets as they pass in front of their stars and block out a tiny bit of light. “We are looking for shadows of Earth-like planets around Sun-like stars,” said Jeffrey Van Cleve, an astronomer and scientist for the mission. In November, the search for life inspired global collaboration when observatories across 13 countries pointed their telescopes towards several star systems in our galaxy, forming the beginnings of a worldwide network that could confirm and follow up on possible extraterrestrial signals detected in the near future. With all the projects out there, one can’t help but wonder what drives scientists’ quest to find extraterrestrial life. Why is it so important to find life on other worlds? Like Tarter, Van Cleve traces his interest in extraterrestrial life—and the worlds they inhabit—back to his childhood. He grew up in what he calls “the age of Apollo and Aquarius,” a period of immense space exploration by NASA alongside immense self-exploration by hippies and others influenced by 1960s counter-culture. People at the time were “finding new worlds, both outer and inner,” Van Cleve said; this ignited his own drive to find habitable planets and the life they may harbor. But it’s not all about chasing childhood dreams. Van Cleve pointed out that discovering extraterrestrial life is vital to the biological sciences because it would give scientists an example of life that arose apart from Earth. With a second example of life, Van Cleve explained, biologists will be able to test hypotheses about how life originates and hopefully answer that age-old question: Where do we come from? Mike Shara, curator of the Department of Astrophysics at the American Museum of Natural History in New York City, agrees with Van Cleve, saying that his assessment is “right on.” Although Shara isn’t part of the grand quest himself, he does “strongly support searches for extraterrestrial life, from microbes to intelligent civilizations.” But even though Shara may support radio searches for extraterrestrials like those done by the SETI Institute, he believes our efforts may be in vain, emphasizing that the searches so far have found nothing. It would mean that scientists would need to explain the unique position we hold in our galaxy, Cloud said. Currently, there are theories that imply a low density of intelligent life in our universe, though they’re anything but simple. “If the density of intelligent life is low,” Cloud said, “it means we’ll find planets but no [intelligent] life. But then we must entertain some really weird cosmological theories.” Some of these theories even involve the hypothetical creation of additional universes. If there is life out there, chances are we won’t find it unless we look harder. Tarter believes that the public should join scientists in the search, so the SETI Institute is developing what she calls a “citizen science program,” which is expected to launch in a year or so. The project, setiQuest, would give people the opportunity to visually inspect radio telescope data and look for possible radio signals from extraterrestrials, explained Tarter. Interested citizens would be able to sift through the SETI Institute’s radio telescope data from the comfort of their own homes. If someone spots an interesting pattern or anomaly in the data, something that looks like it’s more than just random noise from the universe, SETI researchers would then investigate it. Most of the anomalies the project finds will likely turn out to be interference created by our own technology, but the chances of finding other life in the universe will only increase with each person that joins the project. And while finding extraterrestrials is the ultimate goal of setiQuest, Tarter believes that the collective effort of searching for life could transform the mindset of the world and possibly reduce the continual conflict over our perceived differences. Joseph Castro has a B.S. in physics and a certificate in professional writing from the University of Hawai’i at Manoa. As an undergraduate he hunted for extra-solar planets but found that research was not for him, leading him away from the telescope and to the pen. Joseph has written about science for the University of Hawaii Sea Grant College Program and is excited to spread out to other venues and share his love of science with the rest of the world. If SETI actually is able to record just one verifiable or certain message from an alien culture, this conversation would be turned upside down. Such a message will probably never be intercepted, at least not in our lifetimes, but if one were….! Can SETI abandon its attempt? I doubt it. Its an odd thing but the search for ET is actually a exercise in proving that each signal you receive is NOT ET. This is called falsification and is the basic principal in the search process. There is virtually no way to 100% verify that a signal is from ET so IMHO that will never happen. The best we can do is to find a signal that no one can find a way to falsify.